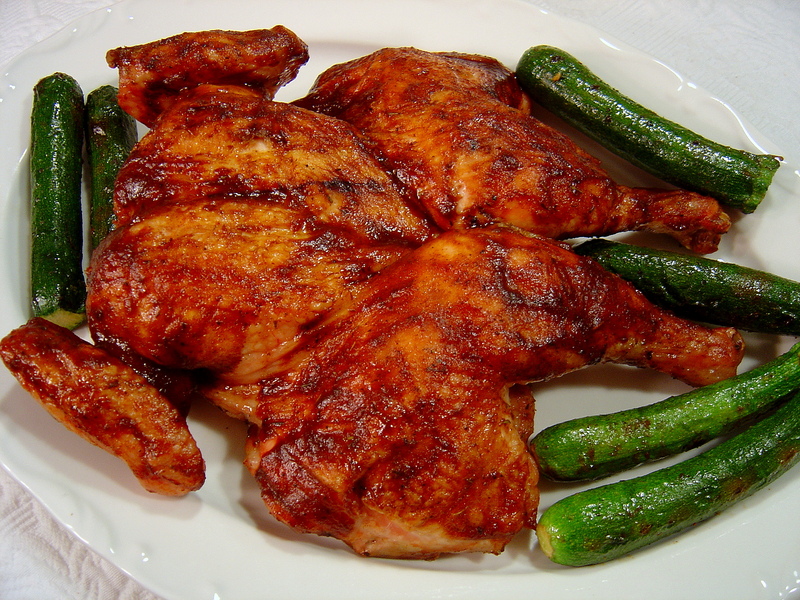 This recipe is really easy to prepare and doesn’t take a lot of advance prep since it doesn’t use a marinade or rub. I know most of the recipes out there are for marinades or jerk seasoning and little is given thought to a jerk finishing type of sauce and few if any people want to talk about using a mop. Now I know you can always use your marinade as a mop, but let’s be clear: if the marinade doesn’t reach a safe temp on something like chicken, and you have not boiled it before using it as a mop/basting sauce, it is probably not safe to use. 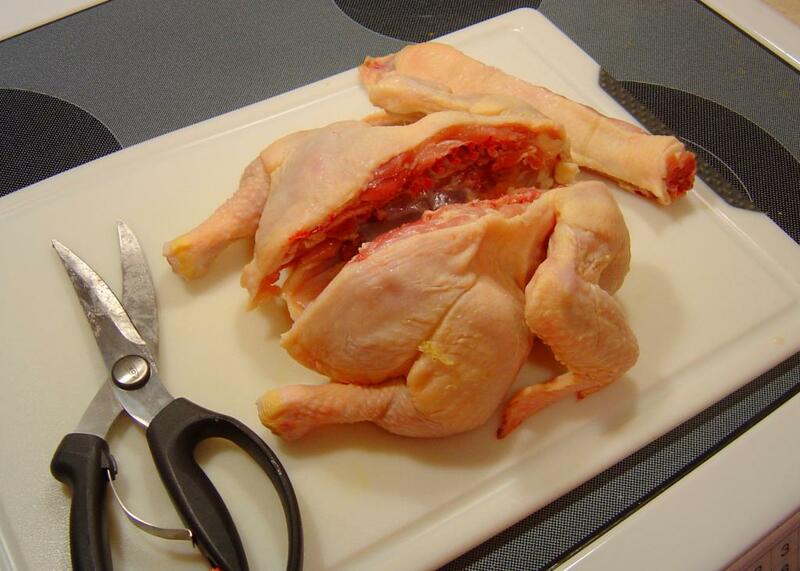 Now you can always go ahead and drain your chicken and then boil the marinade to kill of bacteria. Or you can make extra marinade. But in this case I did not marinate the chicken- it is simply spatchcocked, grilled with the mop/baste, and finished with the sauce. Okay, and I know there are those out there that LOVE LOVE LOVE to marinate or just use a rub. But if you are in a hurry, this method does not short you on flavor, and using an indirect grilling method, your chicken will be both tasty and juicy. For this recipe, the chicken is first spatchcocked, and for those of you who tremble at the thought or have NO idea what spatchcocking is (you know who you are) I have previously put together a little photo tutorial on spatchcocking chicken, which is uber-easy and you can do it in 5 minutes or less and I should never ever have to tell you twice how to do this, right? Right! Don’t be afraid of the name. This is way simple to do. 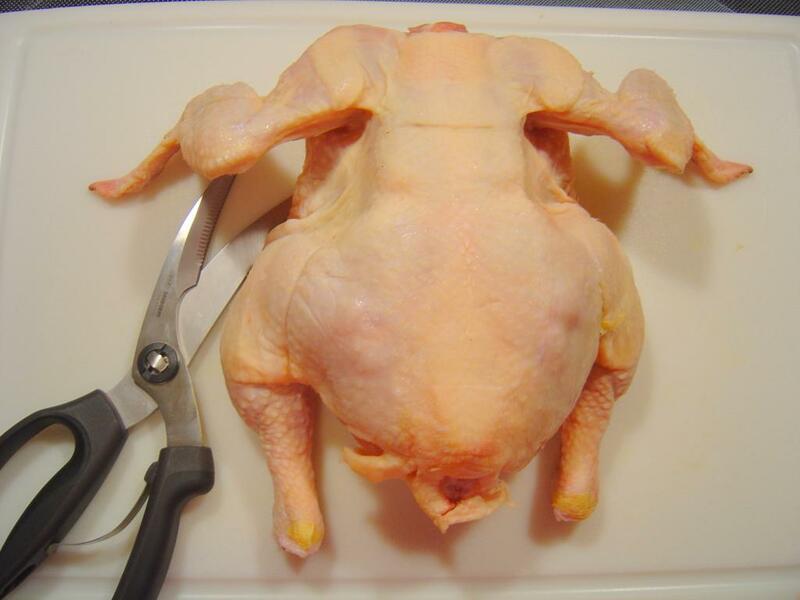 Start with a whole chicken on a cutting board. You don’t need to rinse it yet unless it is really nasty- because you will rinse it later. Flip it over and get out your kitchen shears. Using the shears, cut along the backbone, beginning at one side of the tail. Cut along the backbone again, just on the other side. 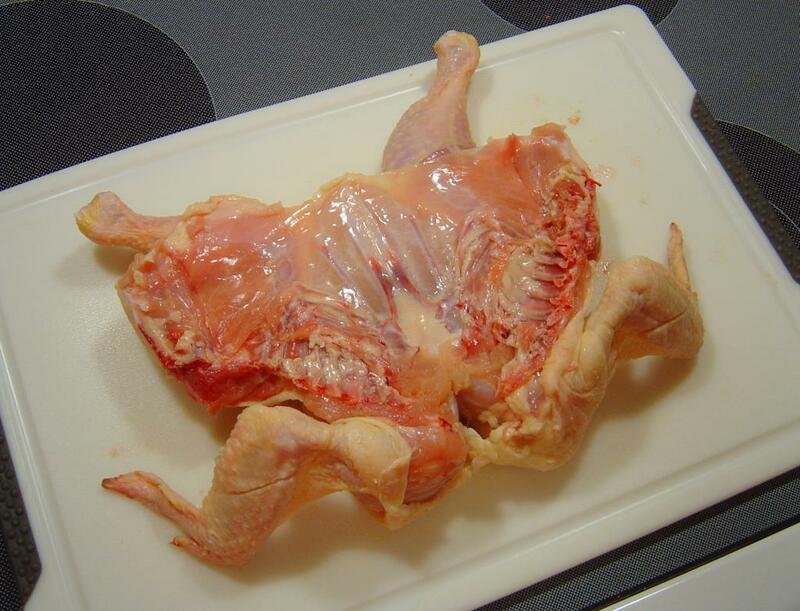 Remove the backbone, and save it in your freezer until you have enough bones to make chicken stock. 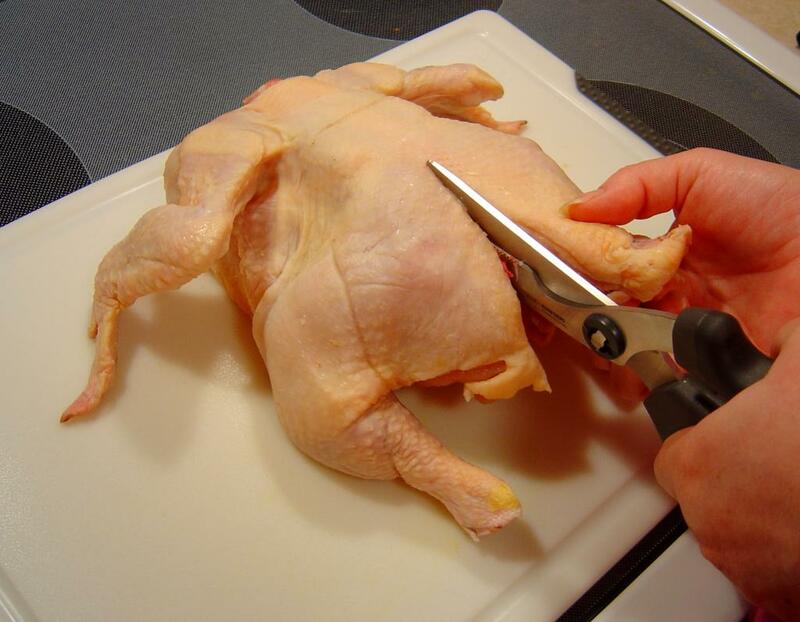 Flip the chicken back over and spread it open like a cookbook. 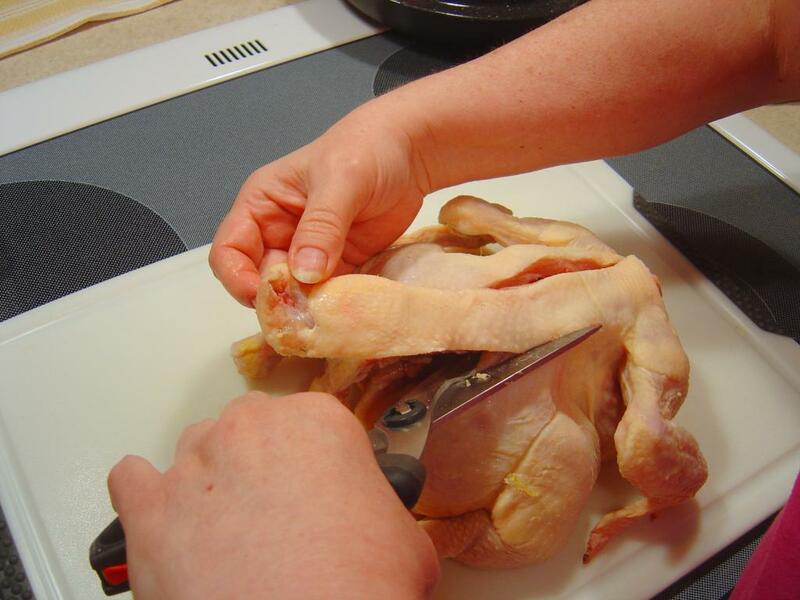 Use the palm of your hand to press down on the breastbone until it flattens. 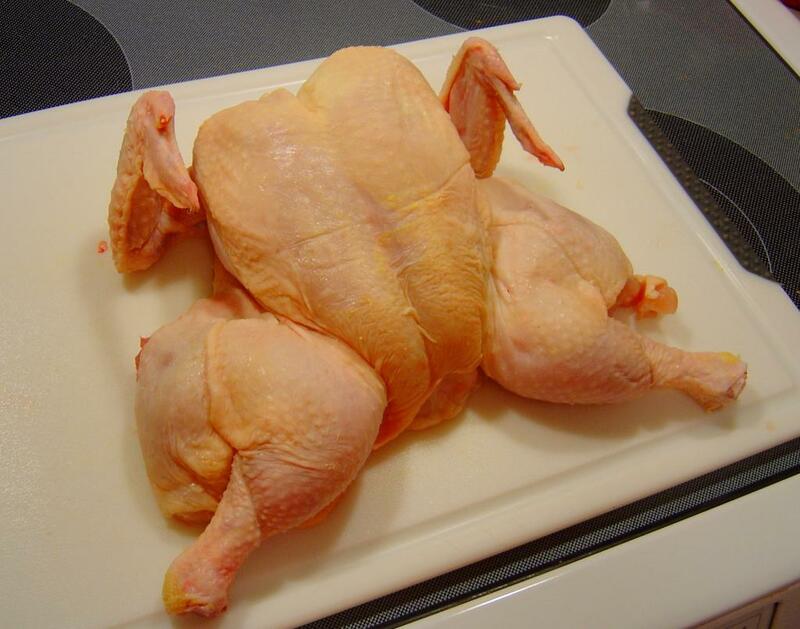 When finished, your chicken should be able to lie perfectly flat. Now that’s out of the way, let’s get grilling! Allow yourself about 20 minutes of lead time to prepare your jerk sauce, and also your jerk mop/baste. Yeah, I use Splenda, not because I love unnatural things but because I am a diabetic. If you can, knock yourself out and use sugar. I would recommend brown sugar, palm sugar or jaggery for the sauce recipe. But use whatever you are comfortable with, even if it is something like agave nectar. 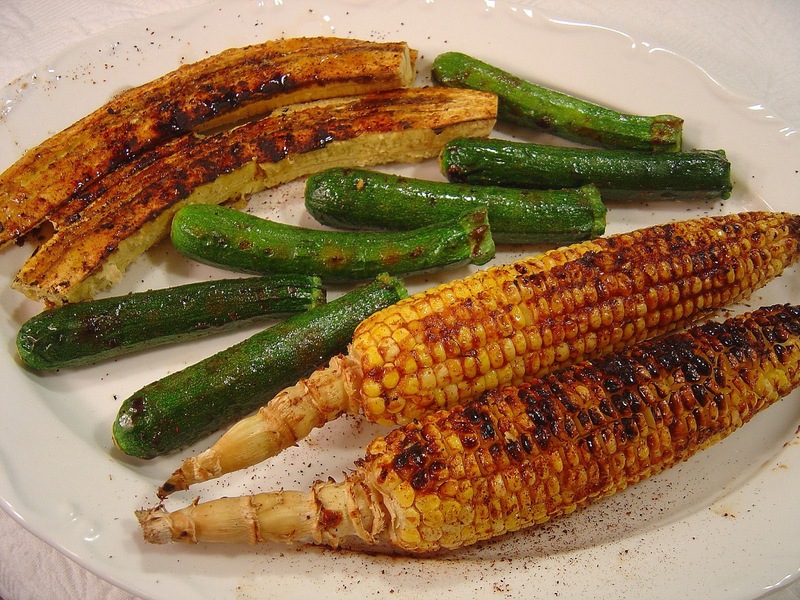 Apply the mop/baste to meats and vegetables while grilling. 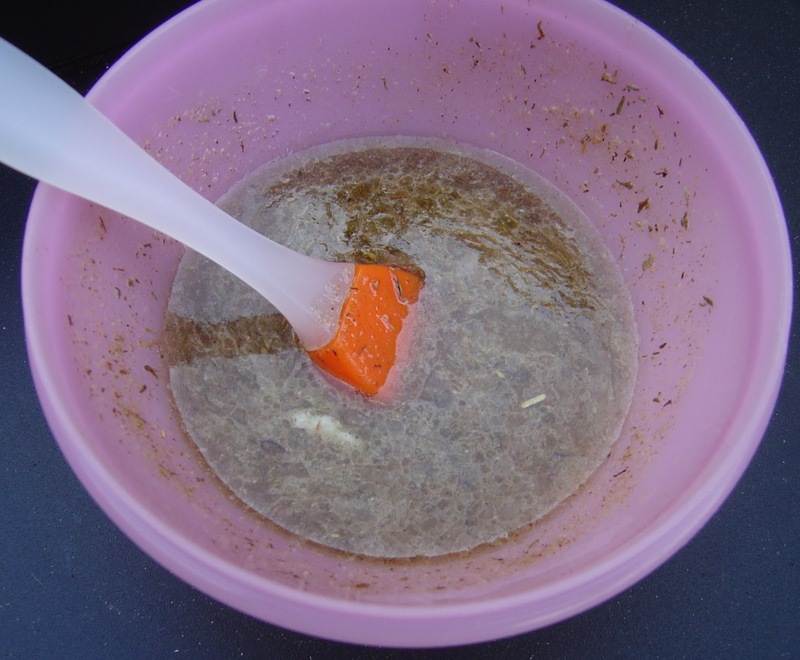 A few minutes before removing food from the grill, apply a finishing sauce, like the sauce above. I don’t recommend using sauce from start to finish, because the sugars in it will burn, especially on meat, which has a long cook time over indirect heat. 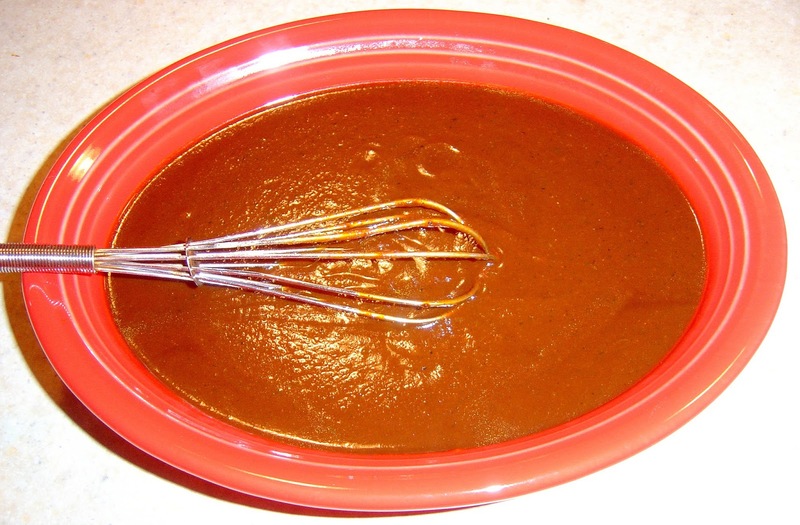 Whisk together and use as a baste or mopping sauce when preparing jerk meats on the grill. Chicken is cooked using an indirect grilling method, where the wood chunks are placed to one side. 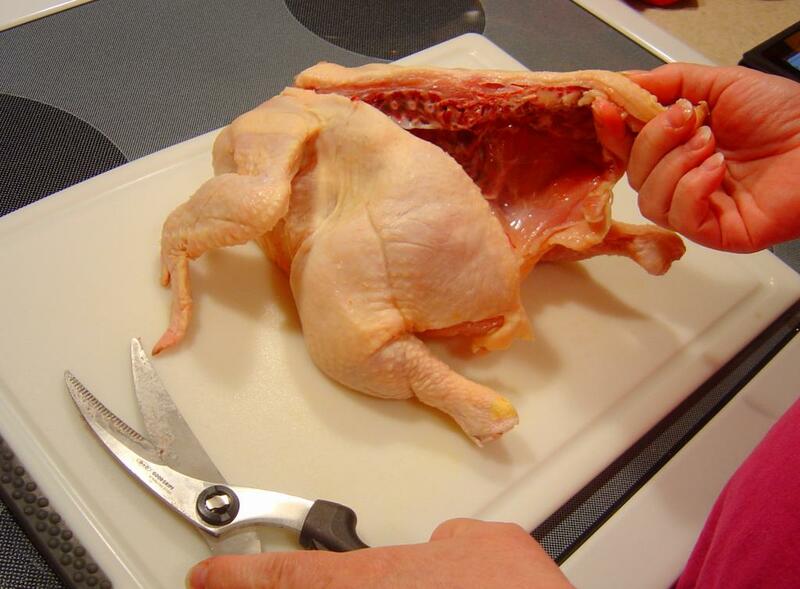 You can put a drip pan directly beneath the chicken for easy clean-up. You can smoke wood chips and wrap in foil with holes punched or use a wood chip smoking box for added smoke flavor. I did not use chips on this recipe. 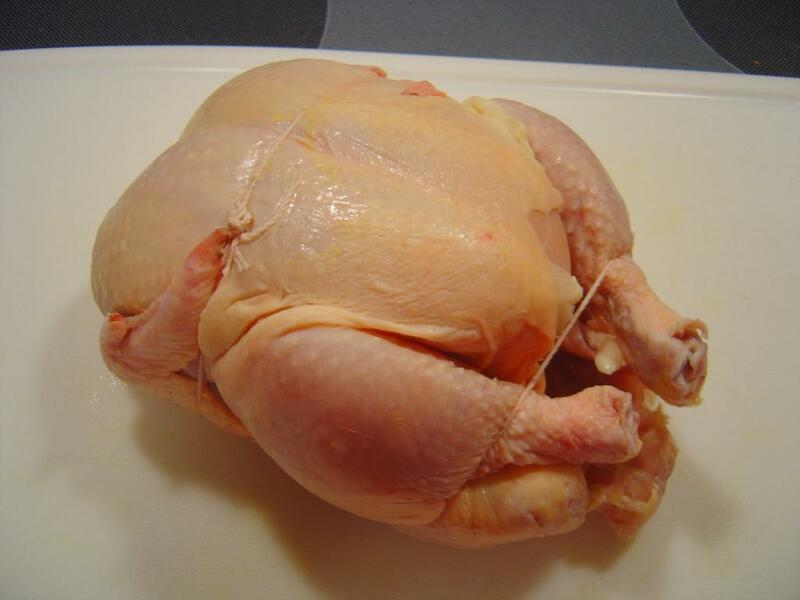 Cook until the internal temperature on the thickest part of the thigh reaches 165F. using an instant read thermometer. If you don’t have one, buy one. They are cheap and nobody likes bloody chicken you thought was done. For the vegetables split the ripe plantain and cook it skin side down until the edges start to curl and it softens. Finish flesh side down just long enough to caramelize it. The corn is shucked and cooked with the mop until tender, turning occasionally. Baby zukes the same way- you just don’t have to shuck those, of course. I dabbed the corn with a bit of jerk sauce when it was done and let it cook a moment to set, although my sauces are generally thick and ready to use, unlike that crap in the bottle. Use this sauce to dip your hot wings in. Ah-may-zing! So that’s what spatchcocking is! Great photos and instructions by the way. Can’t wait to try your recipes. Your photos make them look so good. Thank you.